We are pleased to bring you our first show of 2019, duende, a night of immersive performance, featuring artists Karl Frandsen, Diana Tempest, Pauline Wood, Sharon Reeves and Andy Watts. This is a ticketed event. 'The duende has to be roused from the furthest habitation of the blood. The duende loves the edge, the wound, and draws close to the places where forms fuse in a yearning beyond visible expression. The duende never repeats itself, any more than the waves of the sea do in the storm. The duende, then, is a power, not a work. It is a struggle, not a thought. I have heard an old maestro of the guitar say, 'The duende is not in the throat; the duende climbs up inside you, from the soles of the feet.' Meaning this: it is not a question of ability but of true, living style, of blood, of the most ancient culture, of spontaneous creation.' - Garcia Lorec. The show seeks to question the status and meaning of human interconnection, mediating a conversation between solitude, compatibility, presence and absence - an immersive experience mapping the boundaries of performance. Bridging the gap between perception and interaction, the evening foresees a series of performative interventions which bring poetic printmaking and supersenualism alongside experimental body art and industrial sound. Tonight the many layers of our own selves merge into a collective closeness. The audience is invited to join the artists in their endeavour to re imagine the roots of the heartbroken body and re-wright the cathartic function of art making. Sharon Reeves lives and works in London. Her work explores the perceived role of women and their feelings of power and disempowerment. Her practice engages with a search for the real, the raw and the power of sexual and emotional expression in our sense of identity. Inspiration comes from themes of suppression, inhibition, emotional resistance and freedom of expression of femininity, sexuality and self, working in various mediums including printmaking, painting, video, installation and performance. ‘Substantiation’ is a developing performance work that attempts to articulate and validate feelings of loss, loneliness and disconnection. This performative work engages with the real and raw emotions of loss of connection, while showing the importance of connecting with yourself. Sifu Andy Watts began his journey in Martial Arts over 20 years ago, starting firstly with Kye-Shin-Do Karate then Tae-Kwon-Do. His passion to further his knowledge increased and he went on to focus on the basics of Tai Chi, Chi Gung, Yoga and meditation. This then led him to discover and explore the complexity and beliefs of Chinese Philosophy through studying Buddhism and Taoism. His practice seeks the arrival to a form of universal stillness through a cathartic discovery of balance, with pain used as a means to wake our spiritual selves from within our physical shells that are forever numbed by the unnecessary evil of being enslaved in this world of greed and power. 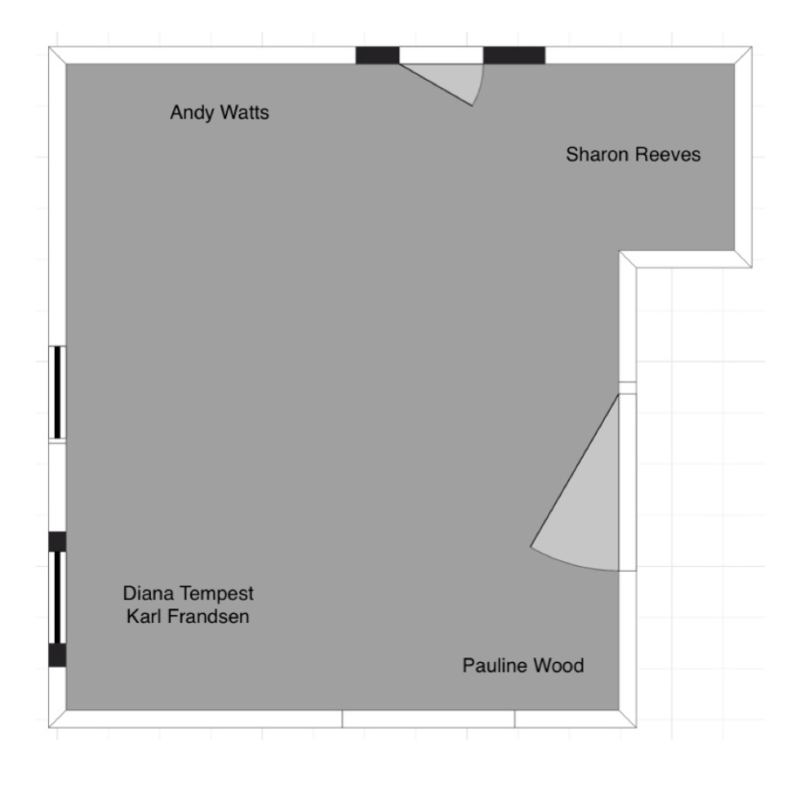 Currently managing Intercession Printmaking Studio and Gallery, Northampton having set up and established the project in 2015 in order to raise the profile of printmaking in the town and to create more opportunities for engagement with and participation in contemporary art practice. For ‘duende’, Pauline reveals an ultimate form of poetical printmaking, through a piece exploring the boundaries of closeness and interaction. Diana’s work is stemming from the attempt of capturing the essence of impermanence within performance, as well as the investigation of its possibilities to attain a sense of tangibility. The performative language acquires a primarily visual dimension, with photography, video and printmaking as the main mediators. The collaborative piece for “duende” is an investigation of presence, individuality, trust, perception and understanding. Mapping presence, the idea of two bodies inhabiting the same few square feet of ground, asking ourselves what we truly do in this silence, how do we mould it after our appearance, how do we encounter or merely grasp each other’s subjectivities, how do we interlace, how do we share the veil. Karl’s work is rooted in processes derived from printmaking: revealing the visceral and irreversible reactions occurring between metal and acid, the work is an attempt to bridge the gap between the psyche and the real through a materialisation of the internal. The processes of printmaking have lead to a narrative questioning the exploration of individual realities through performance. Currently working on a collaborative performative project, the main aim is questioning the coexistence of two distinct entities and the possibility of a merging process equally as powerful as the permanence of the acid stains on metal.